One Day. One Focus: Ending Polio. World Polio Day is October 24, 2018. We're closer than ever to eradicating polio, but we’re not done yet. We still need funds to continue immunizations and surveillance efforts. 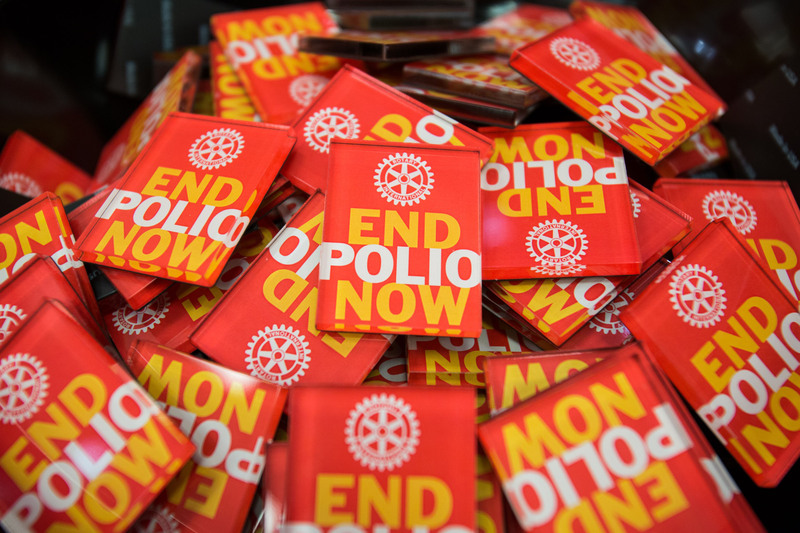 You can plan an event in your club and help raise awareness about our massive effort to end polio. Use the resources available here to get started. You’ll find everything you need to plan and promote your event, including outreach guides, sample press releases, and social media messages and graphics. A simple thing you can do is to host a World's Greatest Meal (WGM), taking in cash donations, and watch the event (live or on-demand) or have it playing in the background while people eat and mingle. Contact Polio Plus Committee Chairman Nate McClure for more information.